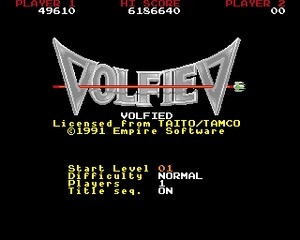 Volfied is an action puzzle game developed and published by Taito Corporation in 1989 initially in the arcade and on TurboGrafx-16. 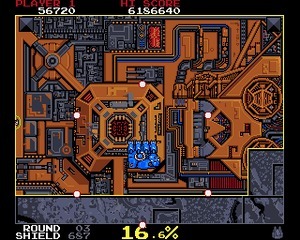 Volfied is an action puzzle game developed and published by Taito Corporation in 1989 initially in the arcade and on TurboGrafx-16. 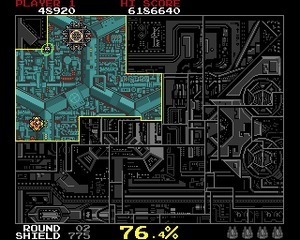 In the subsequent years after its release, it was ported to multiple other platforms including Amiga, DOS, Genesis. 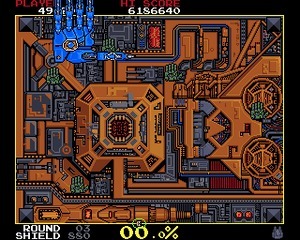 The Amiga port was made by Richard T. Horrocks and it was released in 1991. 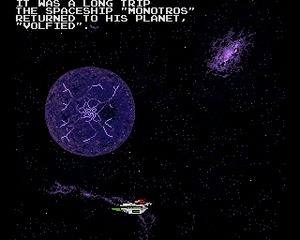 This interesting little puzzle game, with a gameplay inspired to Qix, has a storyline centered around a space pilot returning to his home planet after receiving a distress signal from there. Your goal is to eliminate the alien threat to the planet. 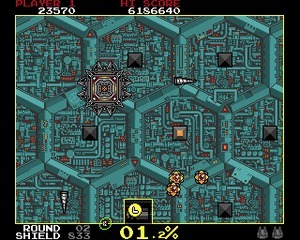 This is done by drawing closed square shapes on the playfield to cut it away from the whole. 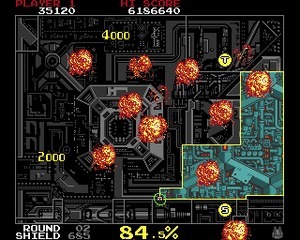 You are doing this in order to shrink the overall playfield, which will, in turn, kill the enemies within it. 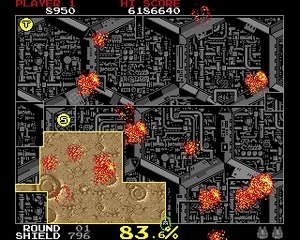 The ultimate goal is to have cut away at least 80% of the playfield. 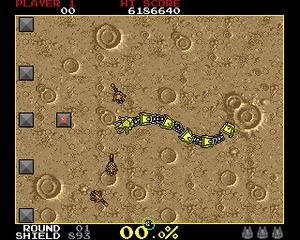 You need to dodge the on-screen enemies while trying to accomplish this. When on a borderline the ship has a shield that can eventually be depleted. When cutting, the ship has no shield. You’re not completely defenseless though, as you can fire your guns while doing either action to take out smaller enemies. 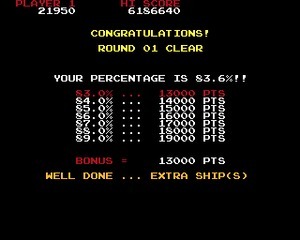 Each level contains powerups for your ship that have different effects. You can play with one or two players and it features 3 difficulty settings. Volfied received overall decent reviews when it was released. The game is pretty straightforward as to what your goal is, but winning will require patience and strategy. Puzzle fans will probably find themselves addicted to this one.